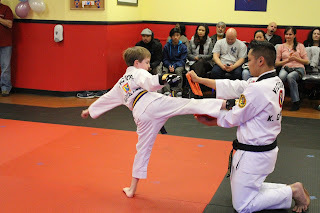 My last post covered how my son failed to pass a belt test. Afterwards, he told us “that won’t happen again” and he’s worked incredibly hard. Since then he’s passed the tests for his Green Belt (Decided), Purple Belt (Recommended), Purple Belt (Decided) and Blue Belt (Recommended). 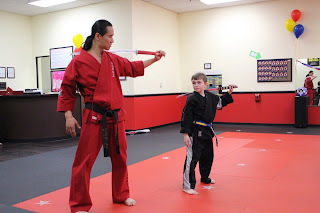 As he went through earning his Purple Belt, he learned the associated phrase representing the meaning of the color of the belt: “Coming to the mountain. 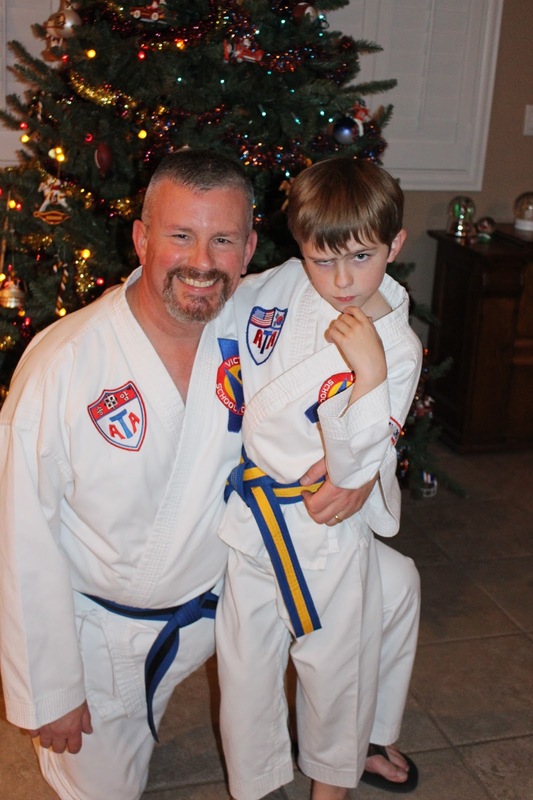 The tree is in mid-growth and now the path becomes steep.” At Purple, he was half way to earning his Black Belt and was learning expectations are higher and what he’s learning is more difficult. 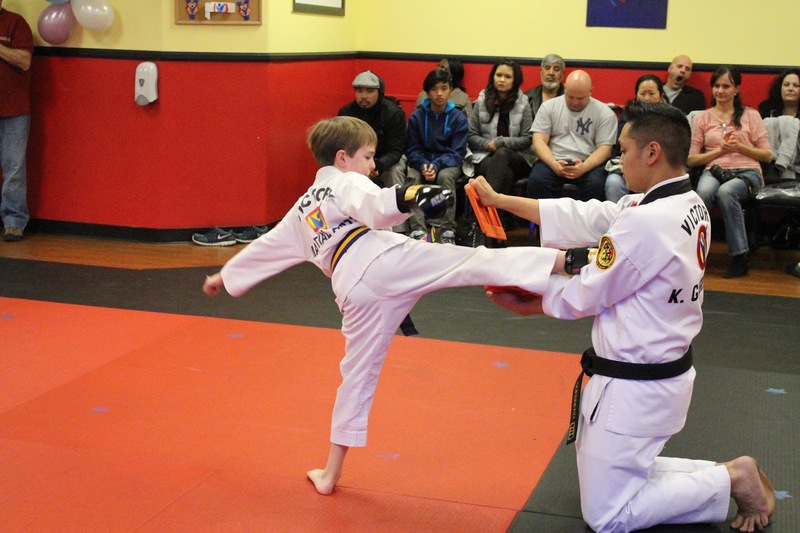 He also knows he’s now within a year of earning his Black Belt if he perseveres and continues to pass his tests. It’s not just an idea he talks about now; it’s something he sees he can achieve. As his parents we see this having a very real impact on his life. 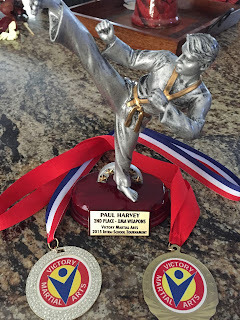 Last Spring Paul competed in two events at the Las Vegas Victory Martial Arts Inter-School Tournament: XMA Weapons (Sword) and Traditional Forms. He was holding in third place but then a three-way tie for first eliminated his chance for a medal. Then he tied for third in traditional forms but after performing again for the tie-breaker, he took fourth and lost that medal too. While these aren’t failures by any means, to have two medals slip from his fingers was a disappointment for him. We were so proud of his attitude and for how hard he tried, then for his heartfelt willingness to encourage all of his friends, and to celebrate with the ones who did well enough to take medals home. We encouraged him to take a break and enjoy how hard he had worked, but with the intent to reset, re-focus and shoot to improve at the next tournament. 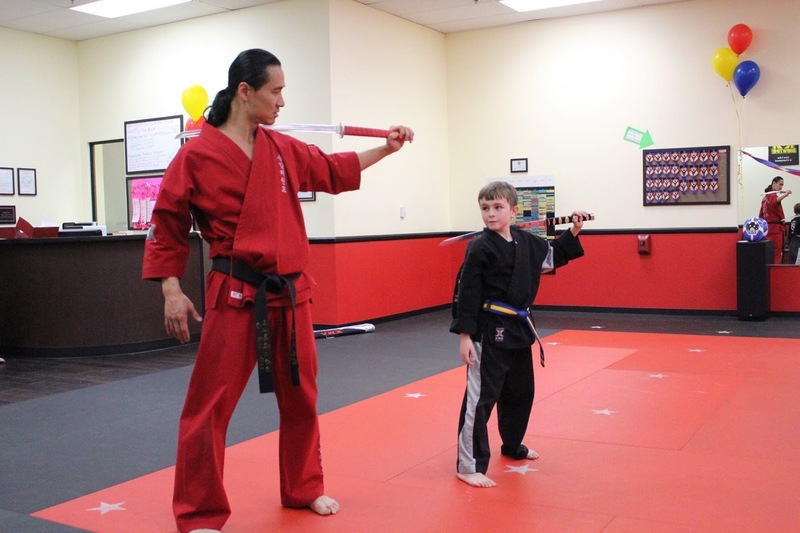 In the most recent Fall tournament, he competed in the same two events: XMA Weapons (Sword) and traditional forms. This time he tied for first place with his XMA Weapons form and ended up taking second after performing again to break the tie! His practice of a martial art has also had an impact outside of the discipline itself. 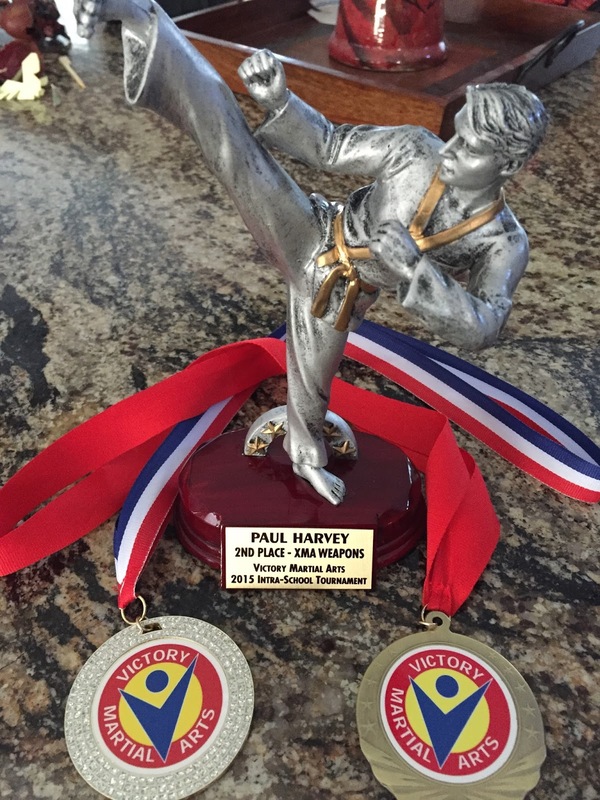 For a second year now, Paul remains on the Victory Martial Arts “A-Team” as a straight-A student. We certainly have to guide and encourage him to consistently apply himself at school (with the attention span and focus of an 8 year old constantly working to undo his fledgling habits of discipline), but more and more he’s telling us how he needs to apply himself differently or better, or telling us how a particular life skill from Victory served as a reminder to stay on task at school. Related, he was recently presented with his school’s award for Academic Excellence in All Subjects. Steph and I looked back to confirm what we thought we remembered, but this is his third year in a row earning this award. Now the journey continues, in martial arts and in life at large. We’re so proud to see our son and his friends who he’s sharing this journey with, as they genuinely work hard and struggle with achieving very real goals—goals that once achieved will have a lifelong and comprehensive impact. What’s next? Maintaining the incredible work he’s been doing during the second half of the school year, and the chance to test and advance to Blue Belt (Decided) in just a few weeks, in which “the tree reaches for the sky, toward new heights.” He’s also been invited to join the Competition Team and is now training for the upcoming ATA Spring Nationals in Las Vegas, where he’ll compete in Creative Weapons (traditional Sword) and XMA Weapons (Sword) form. You know what he tells us about all this? “YES I CAN!” His goal: First Place. In spite of the progress of these individual mountain top moments and successes, there’s also been a bit of a mental slump in the overall routine. 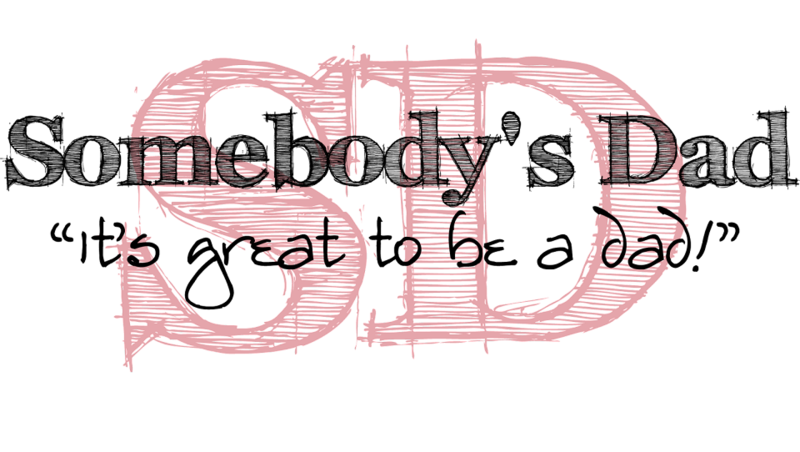 A three year goal is difficult to stay focused on for many adults, and it’s a lifetime away for an eight year old. I’ll write about that next time. Please feel free to leave your thoughts and comments. They're certainly welcome and will appear after they're reviewed.